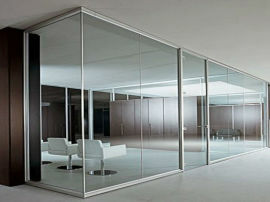 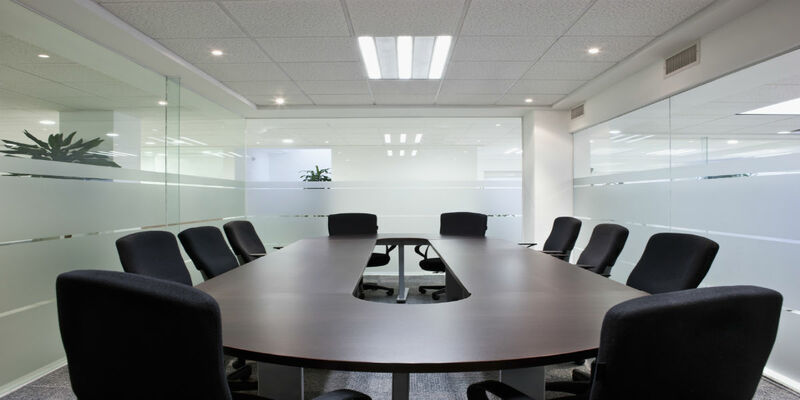 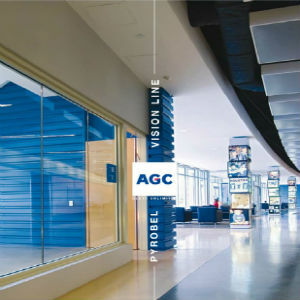 Pyrobel Vision Line offers the perfect architectural solution for frameless partitioning. 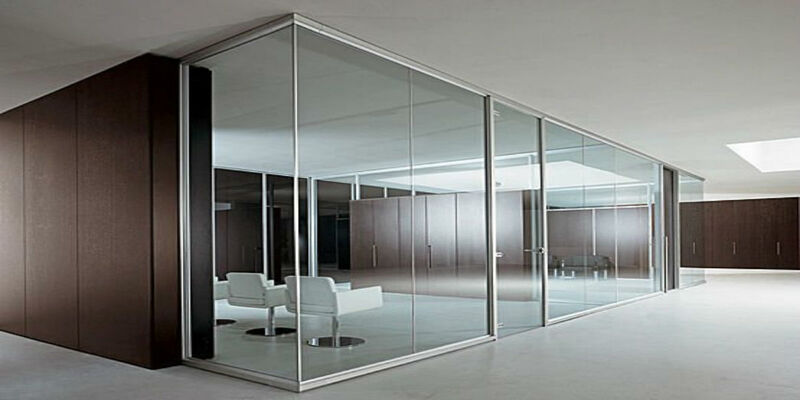 Advances in fire-rated glass technology have made it possible to achieve much larger expanses of clear glazing without compromising the protection required by fire safety . 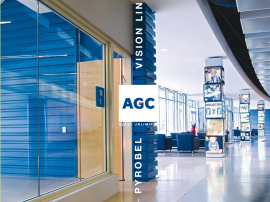 Pyrobel Vision Line® allows for new design options and architectural solutions which are more and more requested by architects and designers. The system uses multiple Pyrobel® fire rated glazing panels, separated by 4-5mm of fire resistant silicone joint, providing clear, unobstructed views and the ultimate in fire protection. 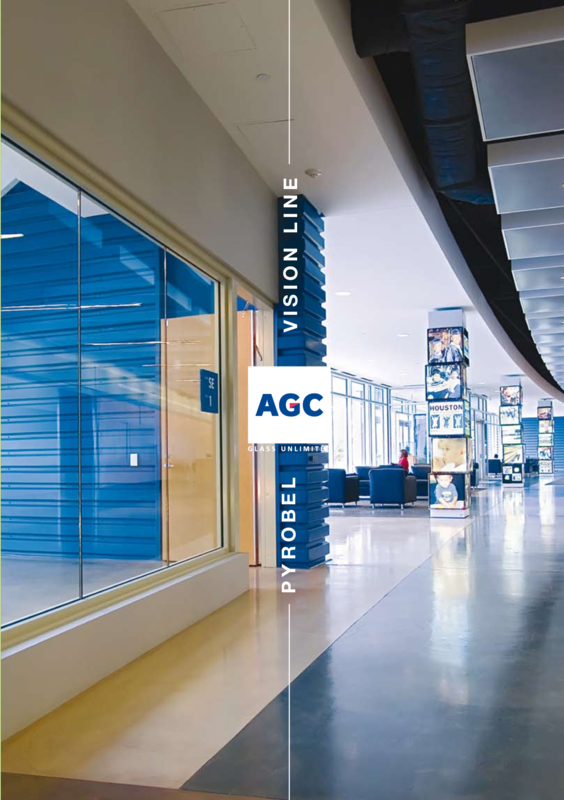 With the absence of intermediate framing, the Pyrobel Vision Line® transparent wall offers continuous views and uncompromising beauty. 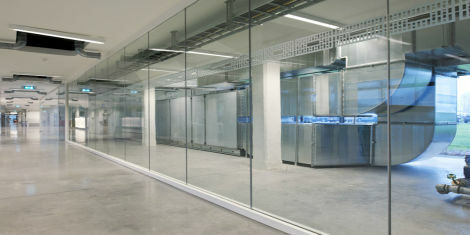 The Pyrobel Vision Line® has been tested for 30 – 120 minute integrity and insulation (EI – Insulation following EN 13501-2) in steel, aluminium and wooden frames. 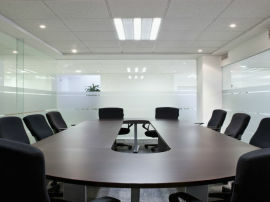 Please contact us for further information regarding the Pyrobel Vision line® system.